Michelle Stephan, EdD, is an associate professor of mathematics education with a joint appointment in the College of Education and Department of Mathematics and Statistics at the University of North Carolina at Charlotte. She earned bachelor's and master's degrees in pure mathematics and in 1998 earned an EdD in mathematics education from Peabody College of Education at Vanderbilt University. After working as an associate professor at Purdue University Calumet, she left academia for the classroom, where she taught middle school mathematics for seven years in Florida. 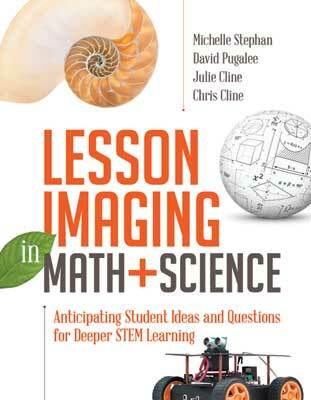 It was there that she began to explore the ideas of lesson imaging with her middle school teaching colleagues George McManus, Jennifer Smith, and Ashley Dickey. In 2012, Stephan became faculty at the University of North Carolina at Charlotte and began a collaboration with coauthors David Pugalee, Julie Cline, and Chris Cline. Together they have presented on lesson imaging at numerous conferences and provided professional development for several North Carolina school districts. Stephan has published a dozen book chapters and more than 25 journal articles, and she has made more than 50 presentations both nationally and internationally.